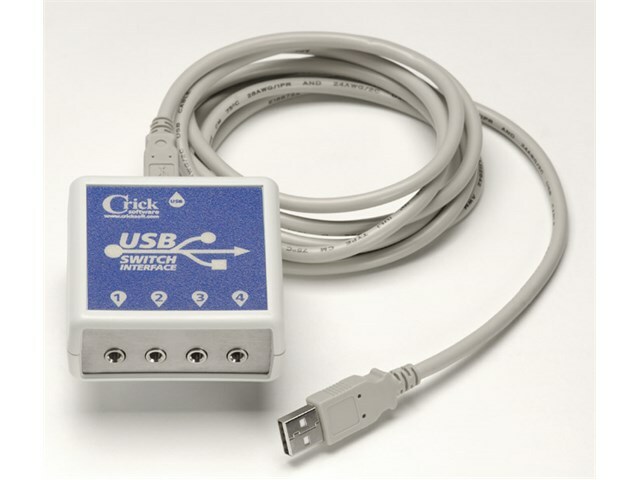 This reliable USB switch interface will work with almost all switch accessible software. This box will instantly work with Clicker, Cloze Pro and All My Words 2 with no set up required. For other switch accessible software, USB Keys is included, a small software application which converts switch presses from the USB switch box into key presses or mouse clicks. It is very easy to use and can be set up to start automatically when the computer is switched on. Now there is a database making it even simpler. 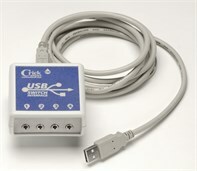 USBKeys2 can update itself from www.SwitchIndex.com to keep its internal database up to date. Programs that are listed in the database are detected automatically by USBKeys2. If your software is listed, USBKeys2 will know exactly how to behave.